If you want to repost, use the link that refers to this blog, dont change the original link, respect our work. we make this patch for free so please respect it. DO NOT reupload for your own purpose, many thanks. If you find some error, please report . Don`t reupload in others links. Use the original ones, respect my work. Download PES-ID Ultimate Patch 2013 Update v3.1 - Released[08/20/2017]. 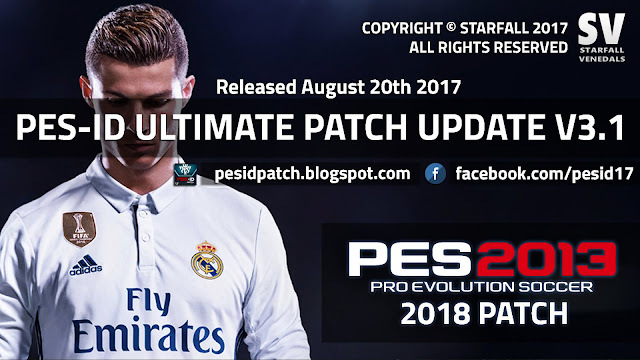 This is a mod for Pro Evolution Soccer 2013 video game.